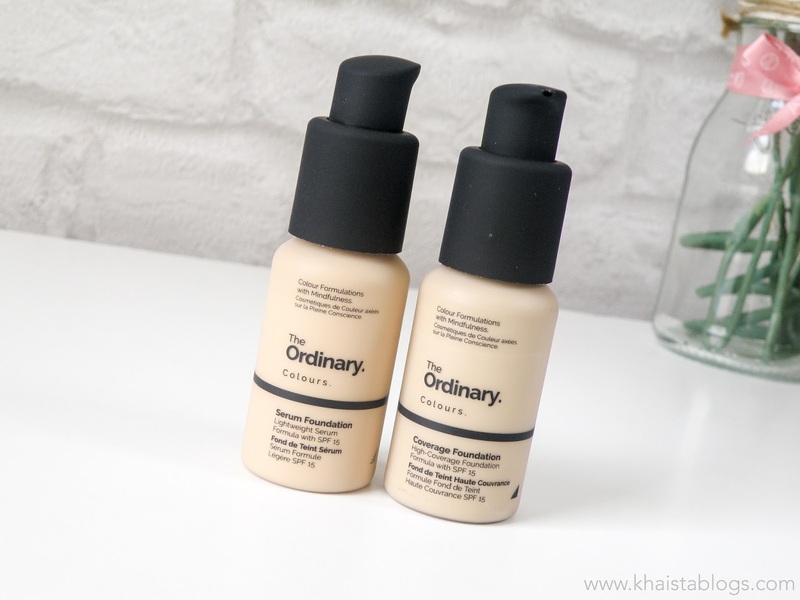 The Ordinary added two foundations into their line this year – a serum foundation and coverage foundation. I got one from each. I have been using them for more than a week now and I am ready to tell about all the awesomeness. Both foundations are made with high quality ingredients without any extra frills to bring down the price. The packaging is simple, a tiny plastic but not cheap material, bottle with a pump. Pump get lock when twist clockwise, making it travel friendly. I don’t like the matte finish of pump though. It looks very chic but attracts all sorts of prints and dust. You can also get dropper or pipette to use with foundation and I will recommend it for serum foundation because of its runny consistency. Both serum and coverage foundations have dimethicone, means are silicon based foundation, making them suitable to work with any primer. Each foundation format is available in 21 shades, ranging from very fair to very deep with three different undertones – yellow, pink and neutral. Few shades also come with mixed highlighter in foundation and I am eyeing that as well. All foundations have SPF15 physical sunscreen. Both foundations come in 30 ml bottle. Serum foundation retails for £5.70 and coverage foundation retails for £5.90. Let’s first talk about Serum foundation. I got the shade 2.0P which is light to medium shade with pink undertone. Serum foundation is very thin in consistency. I personally use my fingers to apply it because I found it the best way to get even application. The coverage is light to medium. I can build it to get medium coverage. It sets pretty quick as well. It melts right into skin. Although it is a serum texture foundation but it does not have normal serum properties. I thought it would be highly moisturising but that is not the case. Serum foundation is more on normal to dry side. It adopts your skin properties. If I apply more hydrating moisturiser or primer, it will look more luminous and if I go for light, gel texture moisturisers and mattifying primer, then it will give more matte finish. The serum foundation, itself doesn’t have any luminosity neither can I call it straight up matte foundation. And in my opinion it is a brilliant approach since every skin type can add it in their routine. It evens out skin nicely and gives healthy looking skin. Other foundation I got is Coverage foundation. I got the shade 2.0 N which is light to medium shade with neutral undertone. 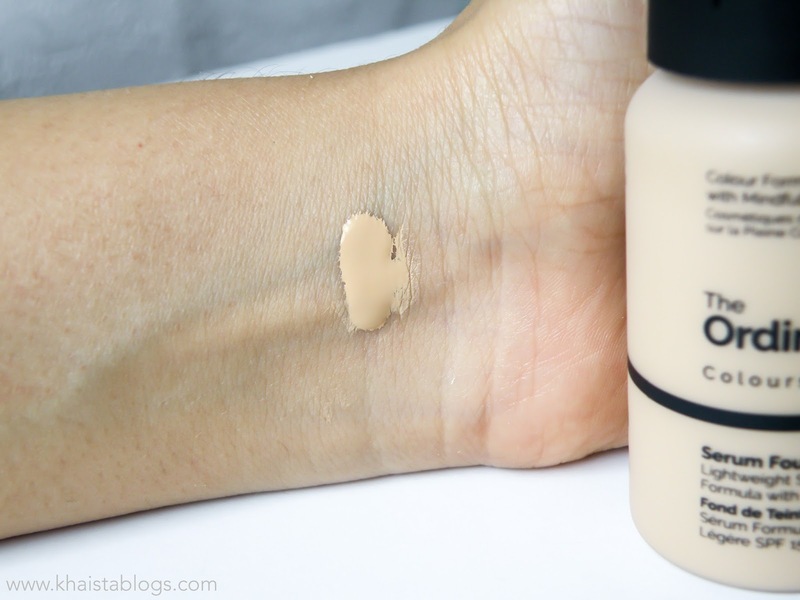 Coverage foundation is a lot thicker than serum foundation. It gives a solid medium coverage. It's a highly pigmented foundation and provides more coverage than L’Oréal infallible foundation. 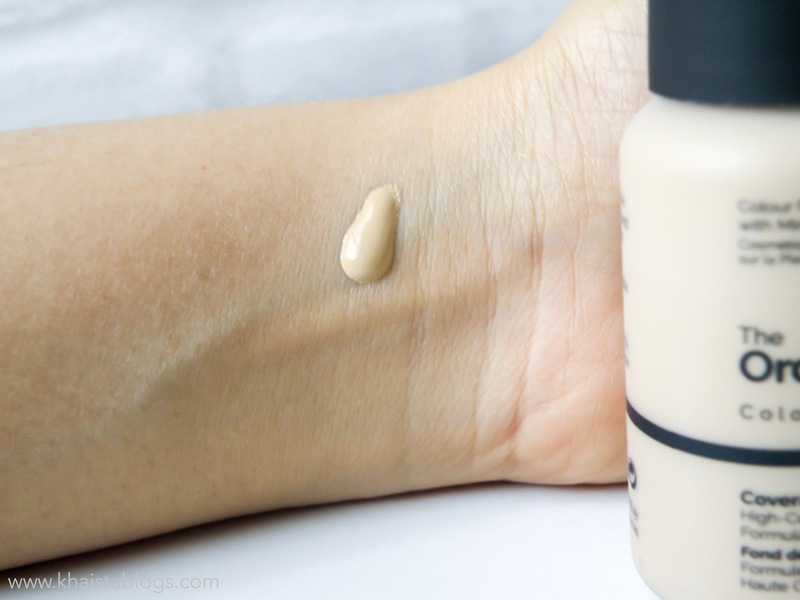 Coverage foundation is a lot creamier and moisturising than serum foundation. I thought it would be quite drying. But clearly I was wrong. It goes on very smoothly and gives even smooth finish. One pump is enough for my face. What I adore about this foundation is, the more you buff it into skin, the more it becomes skin-like. It is not a natural finish foundation; however, it never goes cakey and heavy. It does not set in fine lines and does not cling to dry patches whatsoever. It takes a bit of a time to set completely but once its set, it stays for a good amount of time. Coverage foundation doesn’t need powder to set. Without powder, it stayed put on my face for more than six hours. However, it gets shiny within an hour on my oily skin even though it is an oil-free formula. I will recommend to use light or gel-like moisturiser underneath foundation to prevent it from breaking on oily skin. And use setting powder to take off excess shine. Another drawback is that coverage foundation oxidises and goes a shade darker/warmer at least on my skin. Although they are very nice foundations, it is very hard to get hands on them. If you want to purchase them, be prepare for a long queue. 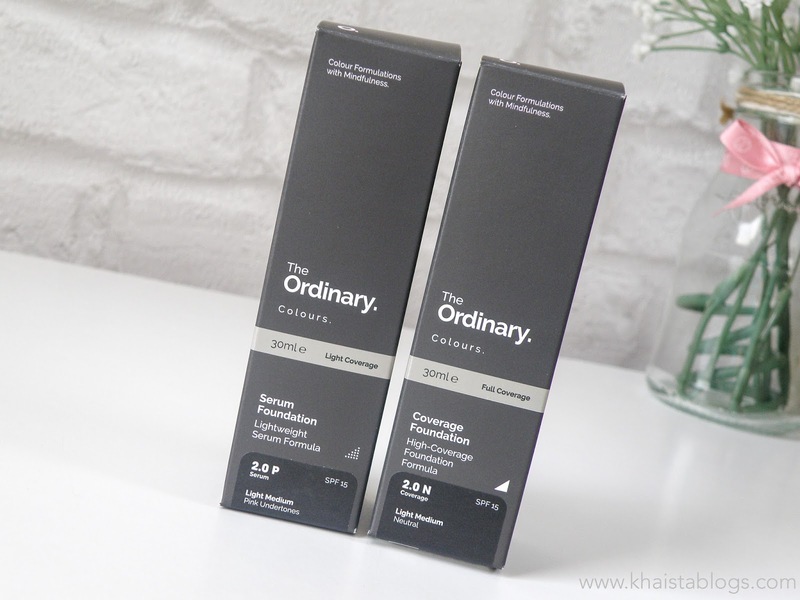 The Ordinary does not offer free returns in case you want to change your mind or want a different shade although, they accept return of opened and used product if it doesn't work out for you. I am planning to get one shade light on coverage foundation to mix with my existing shade to avoid the hassle of return. I can't stand the EL DW. It is very drying on my skin. You've mentioned a lot of good things about this product and I think it worths the long queue.I'm glad it has SPF15 physical sunscreen.I will get mine.I hope it works out for me. Yay... Glad you liked it. I hope you get yours soon. The Ordinary colours sounds like it is a good foundation with some very great qualities. I think I would like the serum foundation better but the coverage foundation sounds good as well. The price is amazing as well! Shade range is pretty impressive. What a fantastic price! That sounds great. I've always used powder foundations for better coverage, but I think liquid ones might suit me better now I'm a bit older! I rarely go for full coverage foundation in liquid. They look very heavy but this coverage foundation is pretty lightweight. I really need to get myself a good foundation and this sounds like a really good one, at such a great price. I think I need to try it. What I want about this is that there are many shades available plus the pump has a lock that makes it nice for a traveler like me. Looks like a great colour match! 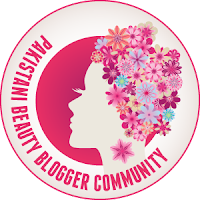 We love it when skincare brands turn to makeup products x might have to give it a go!